A sponsor, in the U.S. Navy, is the title given to a prominent citizen chosen to christen a naval vessel. In recent history, all U. S. Navy ship sponsors have been female. 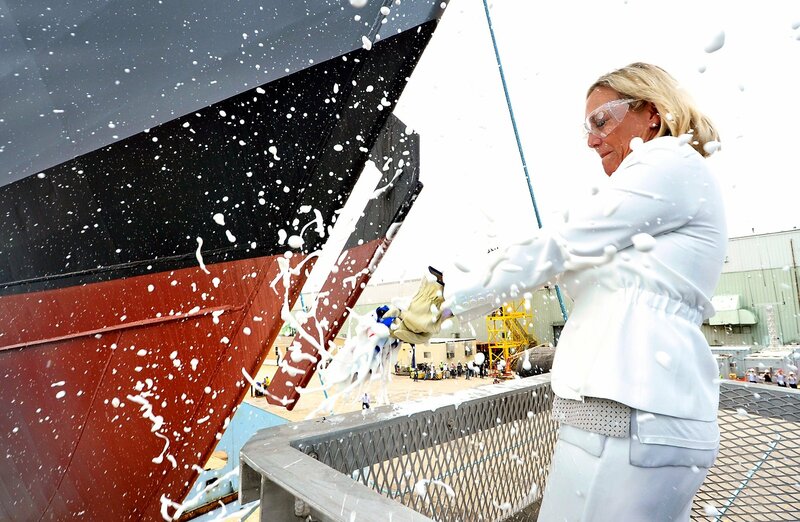 In addition to the ceremonial breaking of a champagne bottle on the bow, the sponsor remains in contact with the ship’s crew and is involved in special events throughout the life of the ship. 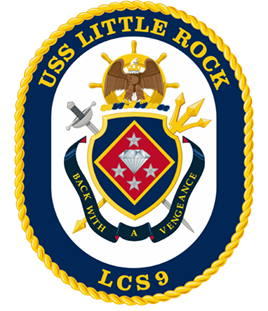 The USS Little Rock’s Sponsor is Ms. Janée L. Bonner. She was selected by the Secretary of the Navy for this very important role in the USS Little Rock’s life. She is the only person who will be officially associated with the ship throughout its life. Janée Lambert Bonner is the wife of former Congressman Jo Bonner, who served as the U. S. Representative for Alabama’s 1st district from 2003 to 2013. Growing up in Mobile, Alabama, Janée graduated from St. Paul’s Episcopal School, as well as Rhodes College in Memphis, where she earned a Bachelor of Arts degree in History. Upon graduation from Rhodes, she moved to Washington, DC where she served for six years as a senior legislative aide to Congressman Andy Ireland from Florida. She then worked another six years for the American Society of Anesthesiologists, serving as the federal affairs coordinator and director of political action. In Washington, Janée served on the boards for several volunteer organizations, including serving as Chair of Taste of the South, Inc., an annual gala that has raised millions of dollars for various southern charities since 1982. She has also remained active in both the Congressional Club and the Republican Spouses Club. 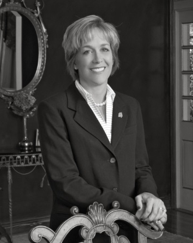 In Alabama, Janée has been a leader in a number of philanthropic and civic organizations. She was President of the Junior League of Mobile from 2008-2009, one of the most active Junior Leagues in the United States. She has also served in Board positions for the Mobile Exploreum Science Center, United Way of Southwest Alabama, the Mobile Area Education Foundation, St. Paul’s Episcopal School, St. Paul’s Episcopal Church, and the Alabama Shakespeare Festival in Montgomery. A member of Leadership Mobile, Class of 2007, Janée is also involved with Women of the Capstone, an organization of friends and alumnae who wish to support the students and faculty of The University of Alabama. She is also a member of the Board of the Tuscaloosa Symphony Orchestra. Today, Jo and Janée make their home in Tuscaloosa, Alabama. They are the parents of two children – a daughter, Lee and a son, Robins. Jennifer Lee Bonner is the daughter of Jo and Janée Bonner. A graduate of St. Paul’s Episcopal School in Mobile, she is currently a rising Senior Honors Student at The University of Alabama, studying Restaurant-Hospitality Management. In high school Lee twice received the St. Paul’s Spirit of Community Service award in recognition of her dedication to volunteering outside the school. She was also a member of the Student Government Association and President of Beta Sigma Chi social sorority and Interact Club. At Alabama, Lee was one of only 100 students – out of a class of 6,500 – chosen for Freshman Forum, a unique leadership development program for first-year students. She is an active member of Kappa Delta sorority, having been elected President of her pledge class and is currently serving as President of the sorority. She was also elected Student Government Association Senator for the College of Human and Environmental Sciences. 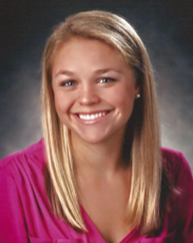 Lee is a Dean’s List student and has been tapped into several different academic honor societies. She has interned for the Republican National Convention in Cleveland and worked for the 2017 Presidential Inaugural Committee. For the summer of 2017, she will serve as an intern in the Washington office of US Representative Michael McCaul (R-TX).